Babes Wodumo opened a case of assault against Mampintsha at the Westville Police Station in Durban on Monday. Her family said they could not continue to speak about the abuse as the matter is with the police. And that is it. A very short statement, with no question allowed from the media. The family just wished to thank everyone for their support. Babes' mother says they would like to thanks fellow artists and the police for supporting their daughter. Don't judge your kids, Babes' father says. "We wish to pass a strong word to parents who have gone through similar experiences, please support them without passing judgement." Babes' father said. Babes' parents thank the country for supporting their daughter. Babes Wodumo's father starts off by greeting in Zulu "Sanibonani." He says Babes is not okay. [FULL REPORT] Singer Bongekile ‘Babes Wodumo’ Simelane laid a criminal complaint with the police against her boyfriend Mandla ‘Mamphintsha’ Maphumulo. Bongekile ‘Babes Wodumo’ Simelane opened an assault charge against him after a video surfaced showing her being assaulted by Mandla ‘Mamphintsha’ Maphumulo. [OPINION] "So who dictates how, when and on which platform abuse should be exposed? How does a tweet of criticism and disdain at the manner in which Wodumo's abuse allegations were revealed resolve the matter?" Refilwe Thobega says if you are in the position to expose abuse and save a woman’s life (literally), who decides the manner or channel in which it is done? The briefing is due to start soon. The media briefing was supposed to start at 10 but it seems Babes is running a bit late. Dear @MampintshaNuz, please hear this from somebody who has worked with you, who has put money in your pocket, and who has supported your career, as far as I’m concerned, you are CANCELLED. Also, you did not make @BABESWODUMO, you will not break her. She will rise. You will not. Sending love and strength to @BABESWODUMO and her family. No person should have to go through what she has gone through for so many years. @MampintshaNuz was let off last time but this time surely something has to happen. NO WAYS. YOU CANNOT BEAT WOMEN. SA women, pay close attention to how the males in your life are handling the #babeswodumo debacle. It always strikes me how in times like this no one knows any abusive man, we’re all “shocked” it happens and yet the stats say otherwise. It’s everyday men, our men, it’s OUR men. A video surfaced online which drew national outrage and support for Bongekile 'Babes Wodumo' Simelane, which shows her being assaulted by Mampintsha. Babes released a statement thanking the public for their support, adding that she won't do interviews. She will brief the media this morning. Mampintsha is no where to be found, the police are looking for him. The ANC's Jackson Mthembu also called on the police to arrest Mampintsha. #ArrestMampintsha , that's the only way of stopping #Mampintsha from continuing with his abuse of #BabesWodumo . If he is not arrested soon he will definitely kill her . #StopWomenAbuse #StopViolenceAgainstWomen #'StopMampintsha . Wodumo's father urged the police to arrest Mampintsha and said he fears for his daughter's life. A whole boxing ring guys! DA leader Mmusi Maimane has responded with anger towards Mampintsha, calling for the musician to join him in a boxing ring. If Mampintsha has it in him, I’d challenge him to 3 rounds on a boxing ring. He must bring it on, violence against woman must be condemned. A charge must be opened. It makes me sick this behavior. Arts and Culture Minister Nathi Mthethwa said abusive relationships must never be tolerated. Since Sunday's video emerged, the world has reacted with support for Babes and anger towards Mampintsha. “There’s a third hand behind this. I even called the station to say I want to set the record straight. We had our downs like any other couple but it never got physical. There was no bleeding nose nor a broken leg, if there was, then where’s the doctor’s note?” That's what Mampintsha had said. Memba? So check it out: Last year, in an interview Babes had with Masechaba Ndlovu Metro FM, Ndlovu ambushed Babes with claims that her boyfriend Mampintsha (real name Mandla Maphumulo) had been abusing her physically. Ndlovu further alleged that Maphumulo had access to her Instagram account and had recently posted a picture without her permission. It’s not the first time Mampitsha’s abuse of Wodiumo has come under the spotlight. .. In the video, Mampintsha can be seen repeatedly slapping Simelane, who asks why he keeps hitting her. On Sunday evening, Babes Wodumo went live on her Instagram. The video showed her being assaulted by her boyfriend Mampintsha. 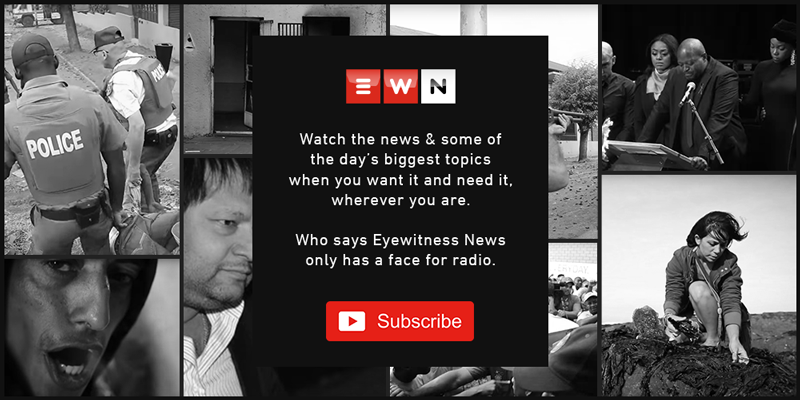 Good morning and welcome to EWN's live blog on Babes Wodumo, real name Bongekile Simelane, setting the record straight about a video where her boyfriend and manager Mampintsha, assaulted her.